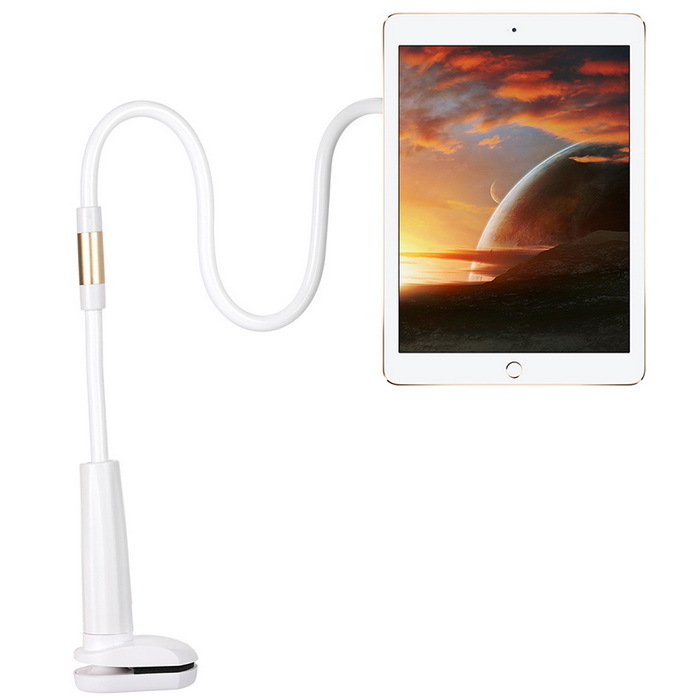 Other Features 360 degree rotating flexible long arm with Super Magnetic design: Clamp-adjustable holder to view your device at any angle or orientation while at gym, desktop, bed or kitchen, etc. 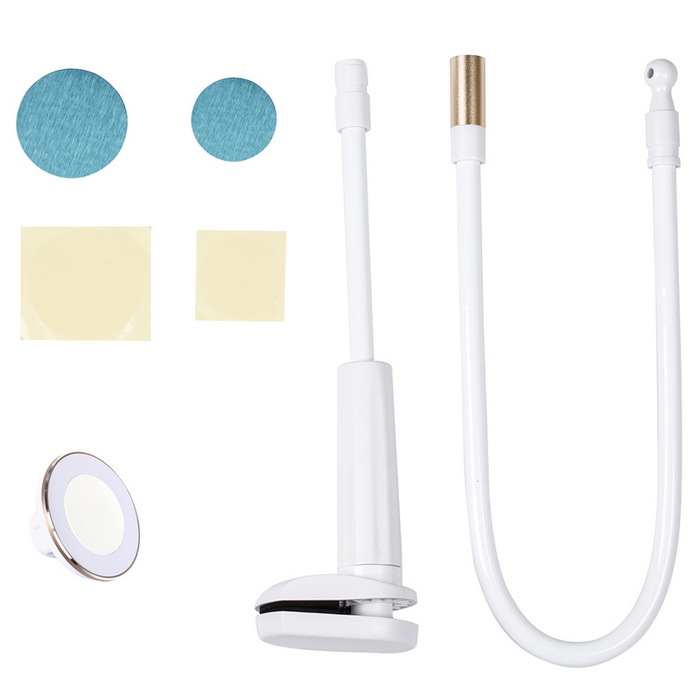 Simple and elegant design, well fitts your iPad 2 / 3 / 4 and perfect for your iPad life at home or in the office. A strong arm (130cm of length) that flexes in all directions. 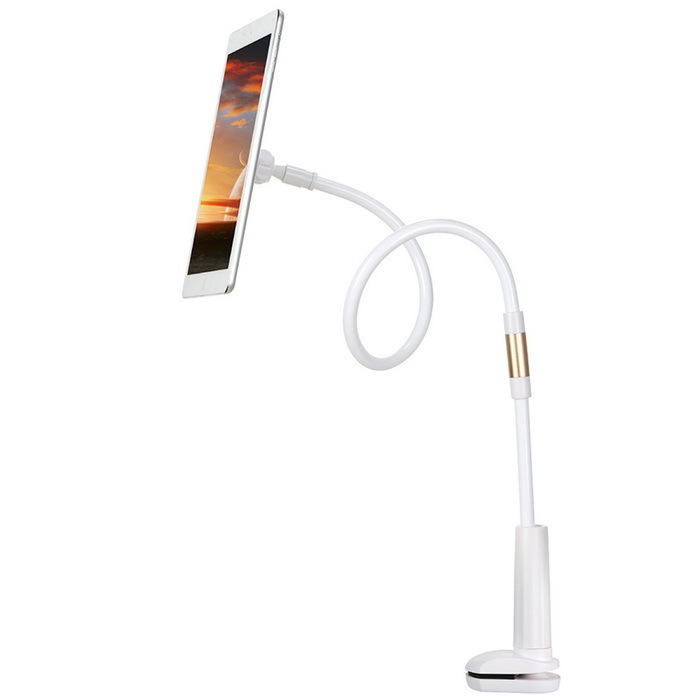 A ball tip holds the iPad clip, allowing you to swivel and tilt it, giving you additional viewing angles and options. With the sturdy anti-slippery silicon cushion padded to the clamps, secure mount to Mac, table, cabinet, speech lectern, or other places you like, and won&apos;t cause any mark or damage.